PLEASE NOTE: The course and clubhouse will remain OPEN to the public at all times, unless otherwise specified. Grangeville Country Club is open April 1 through October 31, weather permitting. Friday nights — 9-hole Golf Scramble Couples’ Play (need not be married), 5:30 PM. 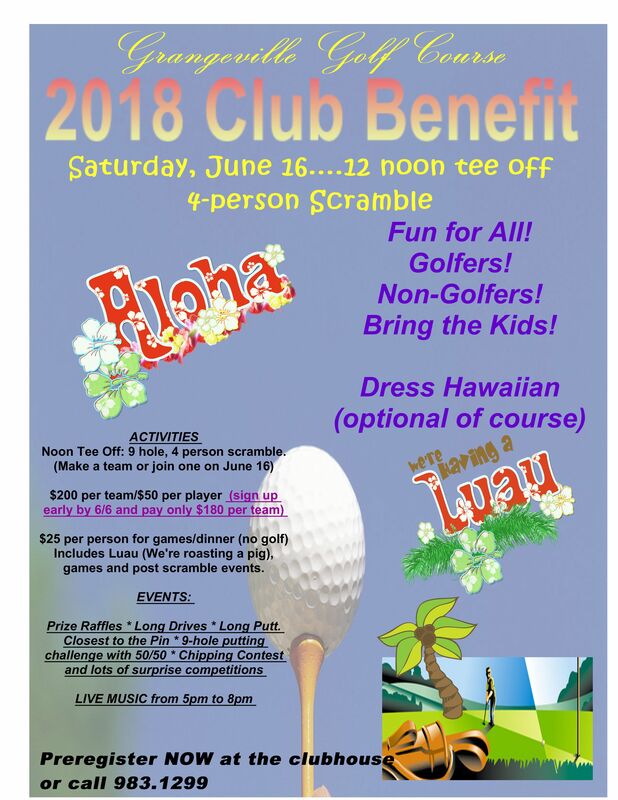 Golf is open to members and non-members (greens fees may apply), handicap is not needed. Dinner will be available for purchase.